Microsoft doesn't typically extend its Xbox Live ecosystem beyond its own Windows, Windows Phone and Xbox platforms, but an exception has been made for the Boggle-like Wordament. Well, it's either an exception, or the start of a new trend. Either way, Wordament is the first iOS game to feature Xbox achievements, specific goals that result in the acquisition of "gamerscore" points. That alone should provide some incentive for Xbox-obsessed gamers to download Wordament on their iPhones and iPads. It won't hurt that the game is free, as well. 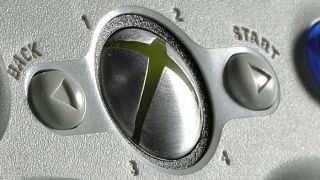 A user's gamerscore has no actual effect on anything, besides being a measure of one's dedication to gaming. That's been enough to spawn hundreds of groups and sites dedicated to helping gamers increase their gamerscores by publishing achievement guides for every Xbox game in existence. And most gamers have fallen victim to the lure of achievements at one time or another, playing a game long past the point at which it was still fun just to feel the sense of accomplishment from unlocking a difficult achievement. Of course, Apple added its own Game Center ecosystem to iOS in 2010, but it isn't nearly as unified and hasn't taken off the same way that Xbox Live has. A trend or an exception? TechRadar reached out to Microsoft to ask whether it plans to launch any more iOS games with Xbox achievements, but we're not really expecting a response until after the holidays at the earliest. The bright green "Xbox" banner spanning the top of the Wordament app's icon could be an indication that more iOS games with Xbox achievements could arrive in the future - the banner could be applied to more games to create a unified look for Xbox-connected iOS titles. The game itself tasks players with connecting letters in a 4x4 grid to form as many words as possible, much like Boggle - only with hundreds of other players competing in real time. Wordament features 10 achievements that in total unlock 50 gamerscore points when players log in with their Xbox accounts. By comparison, most full-scale Xbox 360 games feature 1,000 total unlockable points, while shorter, downloadable Xbox Live Arcade games often feature 200 points. Wordament launched on iOS on Dec.21, and it's been available on Windows Phone and Windows 8 for some time.